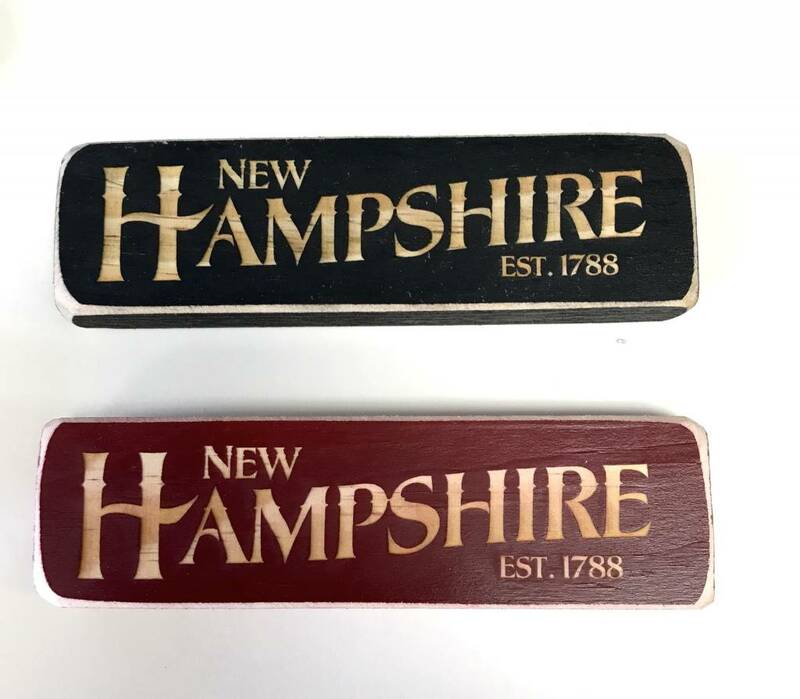 Display this wood New Hampshire sign on a shelf or use as a magnet. Choose from red or black. 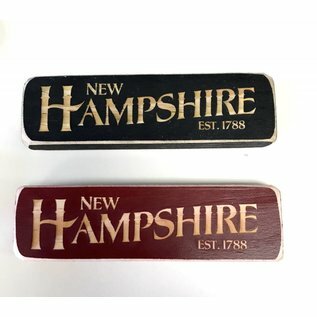 Measures 2x6"